Ever wondered how your emotions interact or what they give rise to? 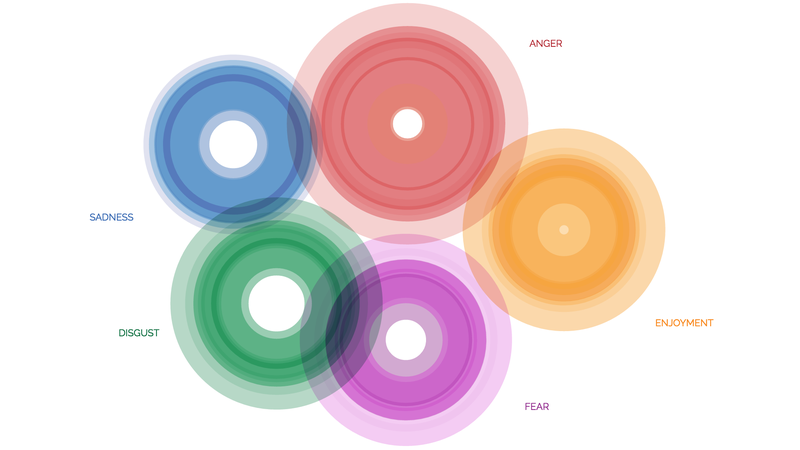 This visualization, called The Atlas of Emotions, combines experimental psychology and insight from the Dalai Lama to try and explain. Emotions aren’t very well understood: They’re a complex phenomenon that stem from neuronal activity and body chemistry, among other things. But the guys from Stamen Design sat down with the Dalai Lama and psychologist Paul Ekman, and found that it was possible to describe what we know so far using a geographical metaphor. So the atlas represent five core emotions—anger, fear, sadness, disgust, and enjoyment—as continents, that you can then explore in more detail. Each one can be drilled into, to understand the actions that certain emotions illicit, the triggers that bring them about in the first place, and how to deal with them, too. It’s understandably a little wooly in places—this is about emotions, after all—but it’s an interesting thing to explore.